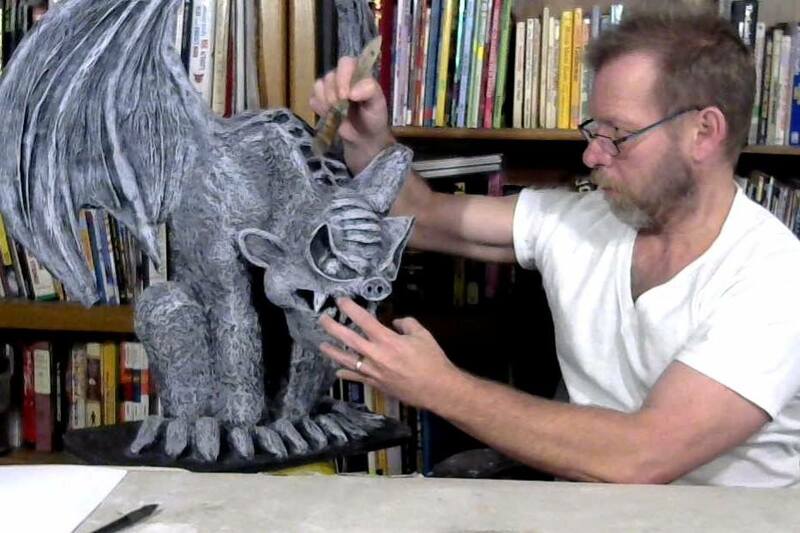 We are here to help as we roll out the all new Dog Papier Mache Studio Workshop starting April of 2019. 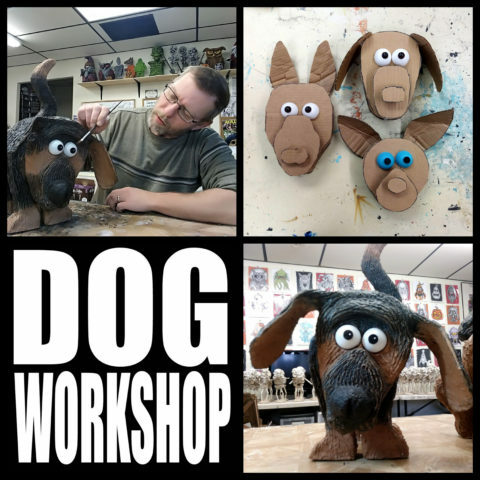 A lot of students have requested a Dog Workshop and here it is, your chance to create a loose caricature of your favorite breed. 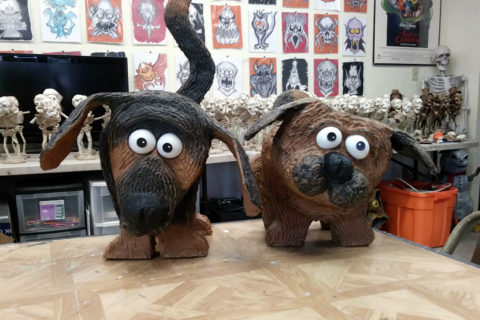 The first night of class we will design and build the cardboard armature for your favorite K-9 friend. Before the first night of class you should decide on the type of dog you would like to create and bring photos of your dog showing a front and side view. These photos will be needed to construct the cardboard armature. Second night of class we will utilize traditional papier mache as we apply strips of paste soaked newspaper over the cardboard form. 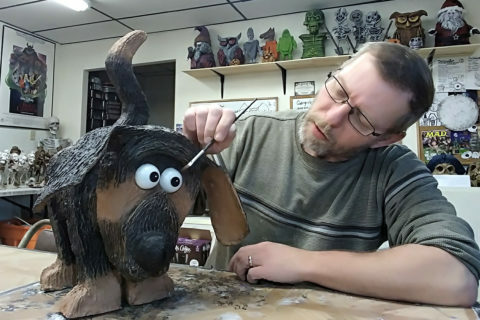 Third night of class will involve sculpting with homemade paper clay giving your pup the final shape and texture. Fourth and final night is all about paint as you finish your dog and take them home. 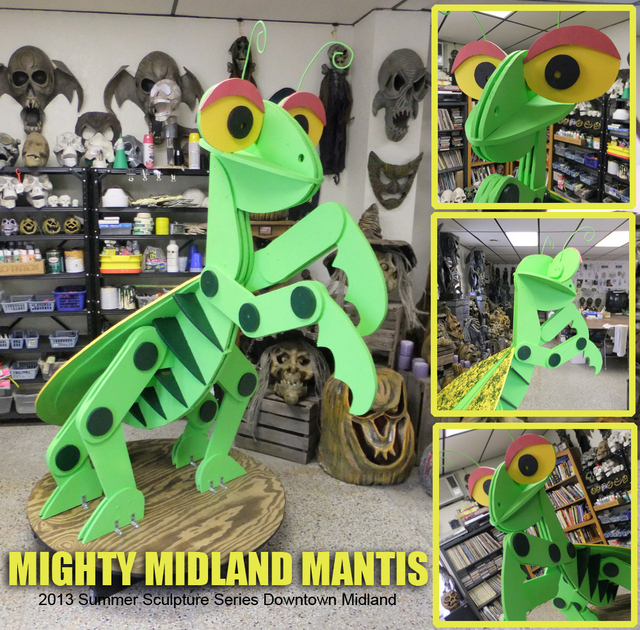 The classes require no previous papier mache experience, only a willingness to work hard and follow instructions. The classes involve a lot of physical activity such as standing, lifting, bending and using your hands to sculpt clay. The workshops are very casual and designed to allow anyone regardless of artistic talent to complete a finished piece. Students must be at least 16 years old, if a younger child is interested they must be accompanied by a responsible adult. Workshops start at the published time with the studio opening 15 minutes prior if you wish to get situated and socialize. Classes run until approximately three hours each. Feel free to bring a drink and a snack, coffee is available at the studio. This workshop requires a lot of hot glue work, a lightweight pair of work gloves is highly recommended. The cost is $100 per person which includes a total of 12 hours of studio time plus all materials. 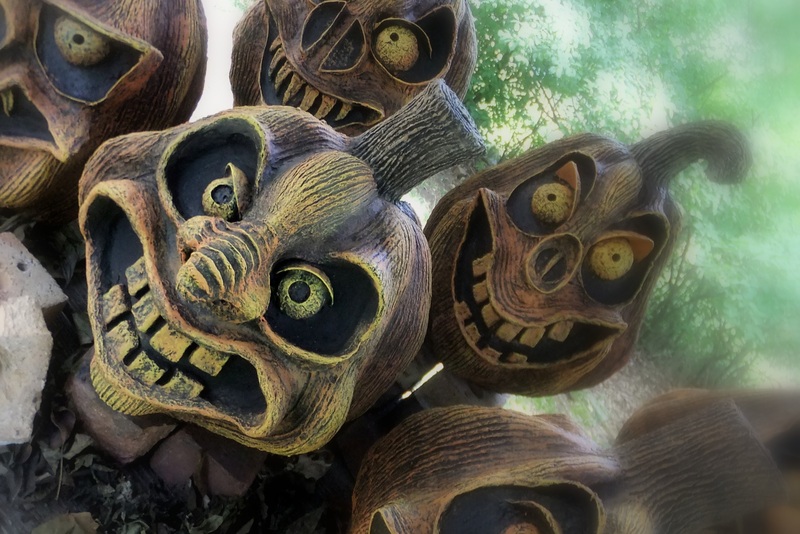 If you would like to sign up for a workshop please send an email to stolloween@gmail.com with the name and day of the workshop in the subject line. Payment can be made via cash, check or money order. Payment must be made by first night of class. Class size is limited to six seats.